Cheapest in Leeds refurbished second hand bicycles. 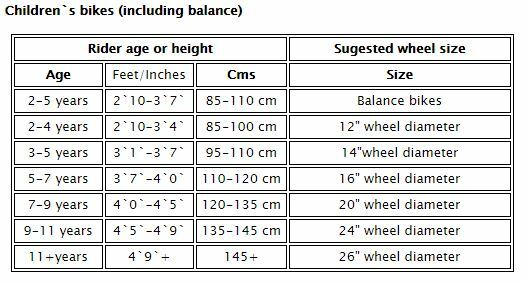 Our fleet of bikes comes divided into the wheel size categories. Please find out your height and your inside leg (distance between the floor and the crotch while standing upright) which will then determine the frame size you need. 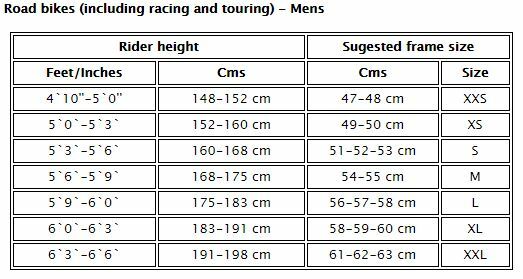 Please note that the below are recommended only and the frame size should be based upon the final bike set up (i.e. the components, the type of riding, the personal preference, etc.). All of the bicycles on display (unless otherwise stated or indicated by the present staff members) are displayed in a state of disrepair. The price indicated is the price of the bicycle mended and serviced, and it includes any repairs necessary to certify the bicycle as safe and road worthy. Should you have any additional requests or requirements please do not hesitate to express it prior to reserving the bike- we can change anything on your bike and make sure that it does suit your specifications- basic changes (i.e. different tyres, lights, bells, etc.) are free of charge, additional equipment (i.e. another wheelset, new pedals, etc.) can be supplied at highly discounted price. We give full hassle free warranty on all of our bikes- if you are dissatisfied with the bicycle please do not hesitate to return it for a replacement or a full refund (NB any malicious damages will be chargeable and deducted from the refund).